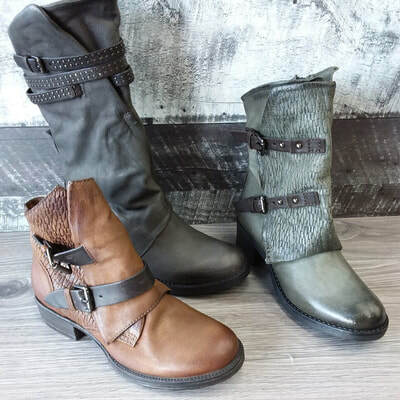 ​Shooz on 97 is a chic new footwear boutique for women and men that just opened its doors in West Kelowna in April. In today’s shoe world, style and comfort can co-exist happily. 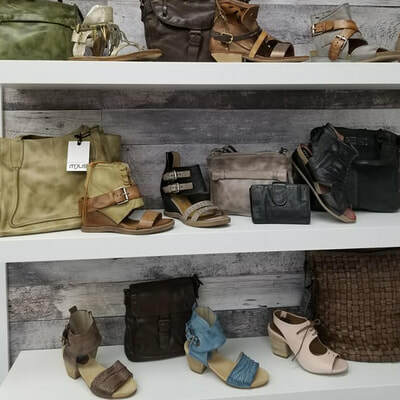 With over 30 brands to choose from, Shooz On 97 has something for everyone. 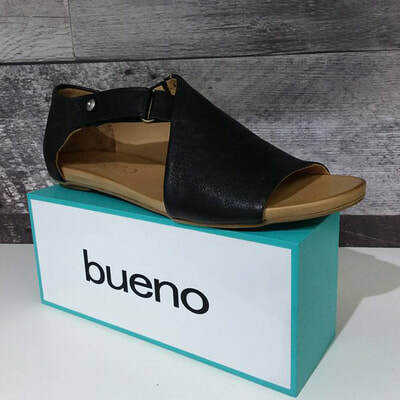 Today’s shoe designers are far more in tune with customers’ wants and needs than ever before and we have brought their craft to West Kelowna from all corners of the world. Many of our brands are out of Europe where great care is given to the craftsmanship of their product. Brands such as Birkenstock, Rieker, Clarks, Mephisto, Bueno, Mjus, AS98, Wanda Panda, Volks Walkers and Taos just to name a few. We also carry popular brands like Keen and Miz Mooz as well as Pegada out of Brasil and Bed Stu out of Mexico. At Shooz On 97 we want to make sure we can accommodate women and men of all ages with footwear for all occasions and tastes. If you are looking for fun and edgy, we have that. If you want comfortable and practical without sacrificing style, we have that. Are you interested in the latest in fashion trends or something for the office? We have that too. And for those who are looking for shoes that will take them around the block (or countryside) yep! We have many great styles to pick from. We also carry a great line of shoes by Alegria that are very popular with healthcare workers who spend long hours on their feet. Check out our other location, Shooz On Main, downtown Penticton! Our company mission is to provide an exceptional shopping experience where knowledge, fit, style and comfort come together. We believe the right footwear is essential to feeling and looking your best, after all proper footwear affects not just your feet, but your back, your stride and even your mood. Our dynamic sales team with over 29 years of experience, provides a level of service that was common back before the days of online shopping and self serve shoe stores. 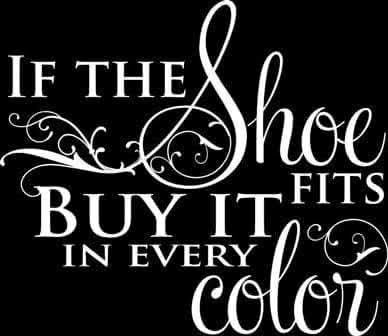 When you shop at Shooz On 97 you will be fitted for the right size and guided to the best brands for your footwear needs. To best fit every customer, we offer a broad range of sizes and widths for women and men. Even if you have problem feet we can help find the shoes that are right for your individual needs.